芙 蓉 两 岸 秋。Lotus blooms spread autumn hue to the shore. 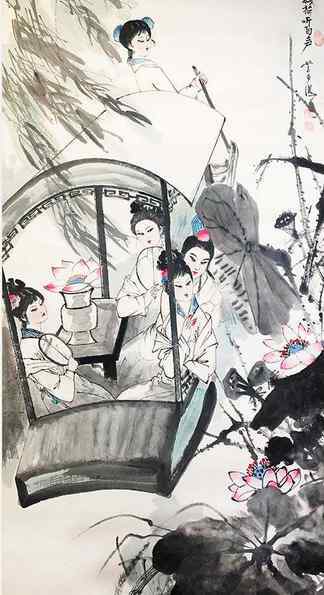 采 菱 谁 家 女？Who is gathering lotus seed, at dusk afloat? 歌 声 起 暮 鸥。She startles gulls with her folklore. 戴 荷 叶 归 去 休。She goes back with a lotus leaf over her head.